The hottest day of the year for the U.S. was yesterday, Wednesday April 10. 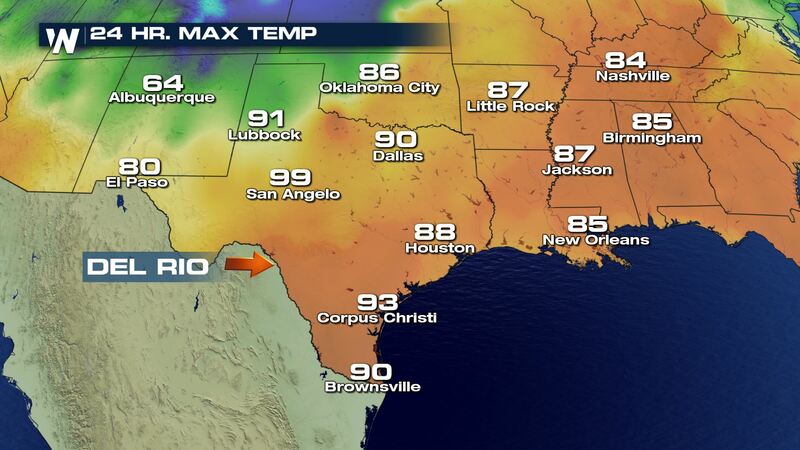 Del Rio, Texas hit 107° which is the warmest temperature for the country so far this year. Del Rio sits in Val Verde County, Texas. It is located about 150 miles west of San Antonio, TX and has a population of about 40,000 folks. 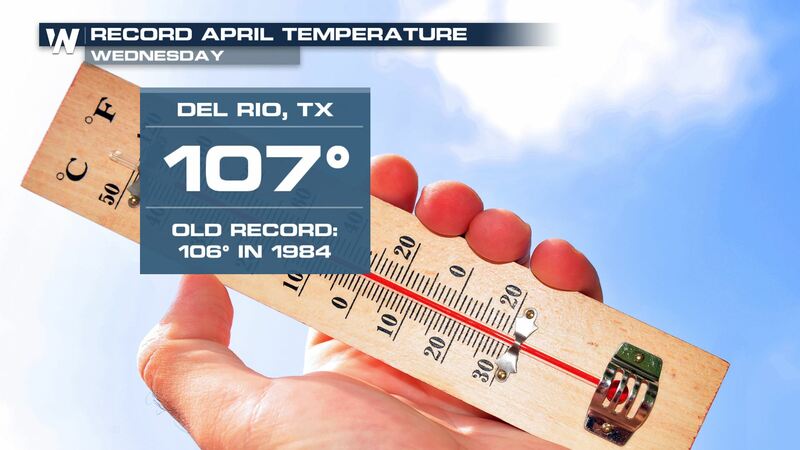 The 107 degree high temperature in Del Rio was the hottest April temperature observed at the climate site since records have been kept. Reliable weather records date back to 1905. The previously-warmest April day was 106° in 1984. The 107° high temperature also broke the *daily* high temperature record for April 10th which was 102°. 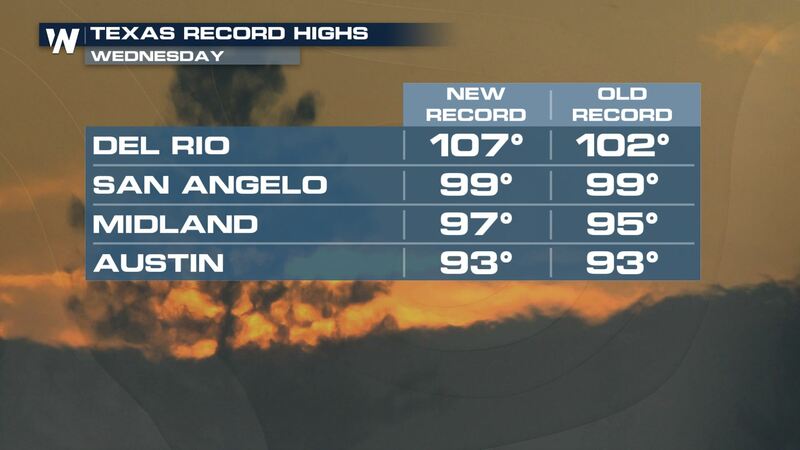 San Angelo, Midland and Austin joined Del Rio in the daily high temperature record category Wednesday. The average high temperature for Del Rio is 83 degrees this time of the year with an average low temperature of 58 degrees. Del Rio sits in a hot location, getting 23 days at or above 100° throughout the course of an ‘average’ year. The highest number of 100°+ days in Del Rio was in 2011 when 85 days occurred. The least was 0 days in 2007. The average first date of a 100°+ day is May 26th, so this comes quite early! However, it’s not the earliest because that belongs to March 16, 1908.